Twelve years ago when I still worked in the trenches of conventional medicine (before I spun off to start my own integrative and functional medicine practice), I figured there had to be a better way to fill the gaps that patients encounter between what they struggle with and what mainstream medicine offers. Not everyone can see these gaps, but one helpful illustration is the use of a basic statistic called the Number Needed to Treat (NNT). Whenever a doctor is prescribing a medicine to you, I recommend that you ask two questions. What is the rate of side effects? 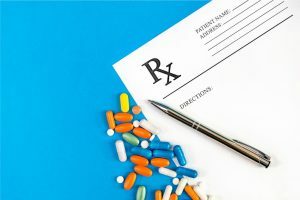 The NNT is the average number of people who need to be treated to prevent one additional bad outcome—in the parlance of epidemiology, that’s the number of patients that need to be treated with a drug, surgery, or procedure for one of them to benefit compared with a control in a clinical trial. I first learned about NNT in my medical training from David Sackett, Ph.D., a Professor of Epidemiology at the University of Oxford. The ideal NNT is 1, where everyone improves with treatment and no one improves with control. The higher the NNT, the less effective is the treatment. Say you have high cholesterol and your doctor want to prescribe a statin, or you have osteoporosis and your doc recommends a bis-phosphonate, the most common drug class used to prevent fracture. You might think intuitively that the NNT is one—that each person who takes the medication benefits from it. But that’s not true. In fact, Big Pharma conservatively estimates that 90 percent of drugs work in only 30-50% of people. For a low-risk patient, the NNT for a statin is 146 to 313 — that is, 146 to 313 people have to take the drug for five years in order for one heart attack, stroke, or other adverse event is prevented. Then you ask what’s the rate of side effects. For a statin, the rate of side effects is 5 percent, and includes a lengthy list of issues such as severe muscle pain and damage, liver inflammation and rising liver enzymes, increased blood sugar or type 2 diabetes, weight gain, and even neurological problems like memory loss or confusion. That means if 146-313 people take the statin, ONE person is helped, five percent of those 146-313 have side effects, that’s SEVEN TO SIXTEEN people with side effects. That means if you’re a low-risk patient, you’re 7-16X more likely to be harmed by the statin than to be helped by the statin. For a similar analysis—mine is actually more conservative—watch the excellent TED talk by Daniel Levitin. Note that higher risk patients have a lower NNT = 46-53, but the same rules apply with regard to side effects and an excess number of patients harmed versus helped. On the other hand, if you start the Mediterranean Diet and follow it for 5 years, the NNT = 61 for the prevention of stroke, heart attack, or death with no harm noted. These metrics are the basic tenets of full informed consent. You deserve to know the NNT for any drug you are prescribed for the prevention or treatment of chronic disease. They illuminate why the disease-based model with a pill for every ill is flawed and outdated, and why I believe it must be replaced with personalized lifestyle medicine for the prevention, reversal, and treatment of chronic disease. If you are interested in applying to see me as a patient when I open my functional medicine practice again for new case reviews, please register here for our interest list. We anticipate starting to see patients in mid-2019. Now it’s your turn. Have you received full informed consent, including the NNT and/or rate of side effects for medications you’ve been prescribed?